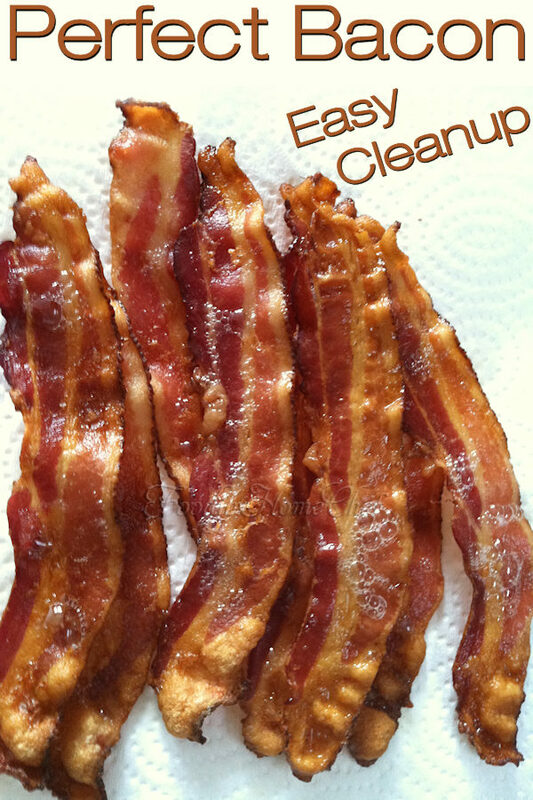 Hate to cook bacon & cleanup afterwards with all the splattering & so on? Well, I've tried every possible way to cook bacon & this is by far the easiest, takes the shortest time, gets the most consistent results & cleanup is almost non-existent. What more could you ask for? 2 Line a plate with several layers of paper towels & set aside till bacon is cooked. 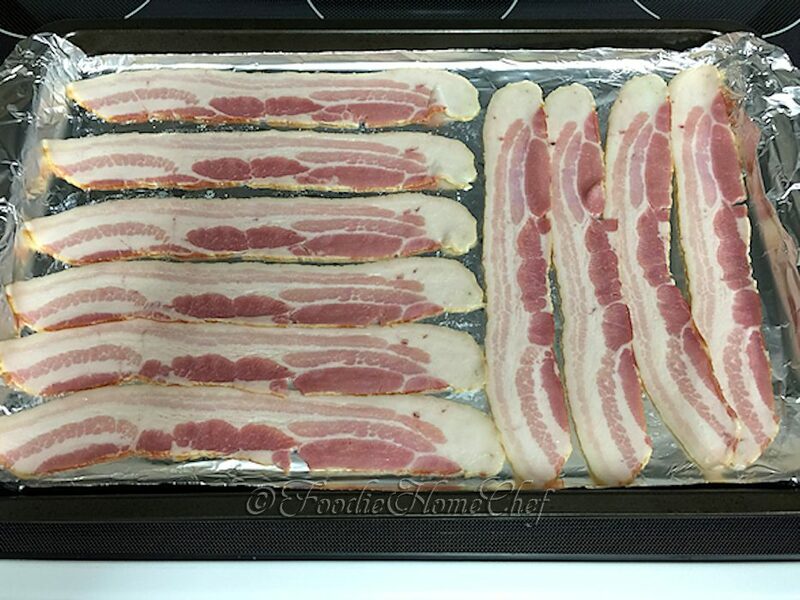 3 Line a large, rimmed baking sheet with foil & lay out bacon strips side by side. 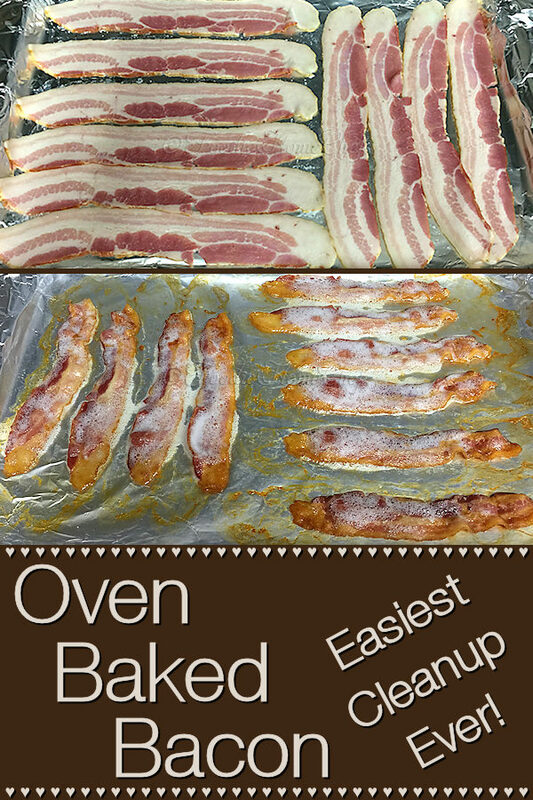 4 Bake on lower middle oven rack for 10 to 16 minutes or till bacon is cooked to your satisfaction. 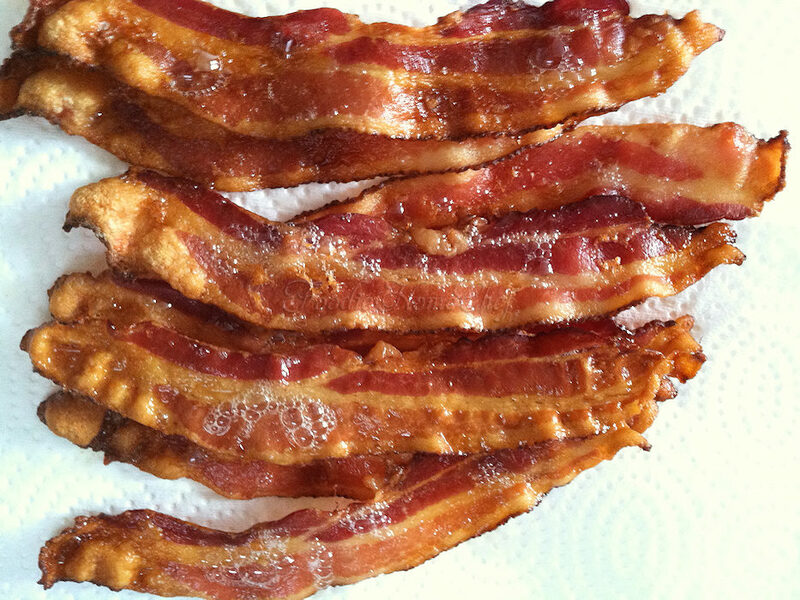 Be sure to check the bacon after 10 minutes, as time depends on your oven & the thickness of the bacon. No need to turn the bacon over while cooking. 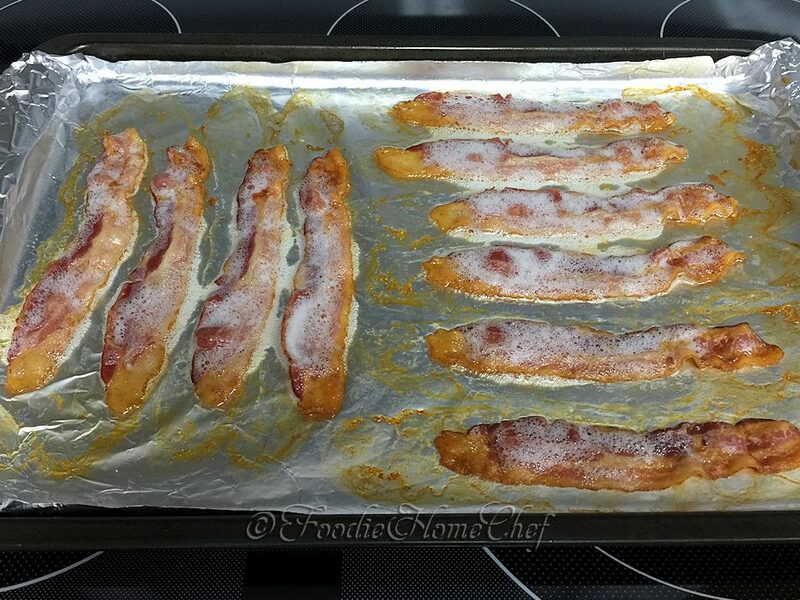 5 Remove from oven & transfer bacon to the paper towel lined plate to drain off fat. Serve or wrap up in the paper towels, place in a zip lock bag & refrigerate till ready to use. 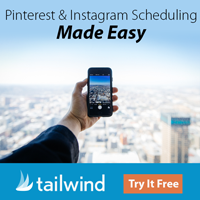 How easy was that?! 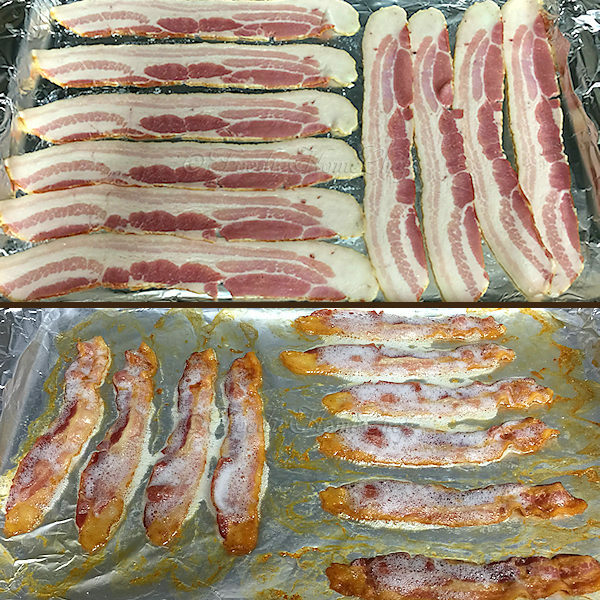 1 Reserve bacon fat drippings from baking sheet to use to cook your eggs, if you're preparing breakfast. 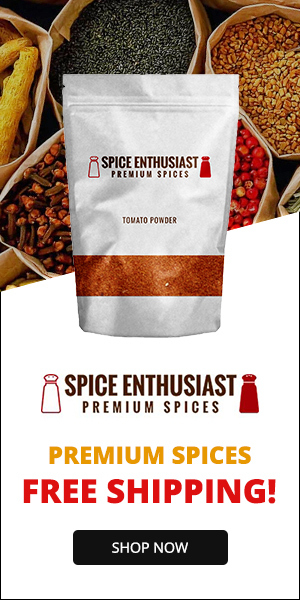 Or transfer to a small glass bowl, cover & refrigerate till ready to use in a recipe.